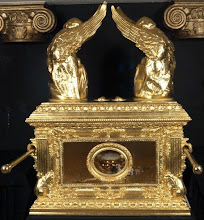 Unam Sanctam Catholicam: Dogma "ex voce"
It seems to me that there are certain dogmas or declarations of the Catholic Church that some in the Magisterium wish they could forget about. I'm thinking of declarations like those found in Unam Sanctam (1302), the Syllabus of Errors, the Council of Florence, etc. These declarations on issues such as the reality and eternality of hell, the necessity of membership in the Church for salvation, the permanent invalidity of Jewish ceremonial law, the condemnation of secular political concepts and many other such un-ecumenical positions stand out to them as embarrassing monuments of a bygone era. I think many in the Church would like to get rid of these declarations, if they could - and I am speaking not only of liberals, but of mainstream, even certain "conservative" members of the hierarchy. These teachings are like antiquated family heirlooms that one can't get rid of but effectively hides by stuffing them in the attic. Obviously and thankfully, these declarations cannot be gotten rid of. They can be ignored and wished away, but they will not go away. Definitive, infallible ex cathedra statements remain for all time and are irreformable of their very nature. 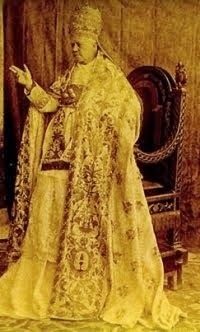 No matter how much any bishop or cardinal would like to contradict or get rid of these dogmatic heirlooms, they cannot. Yet, though these declarations will not go away, there is a way that the hierarchy has found to get around this problem. 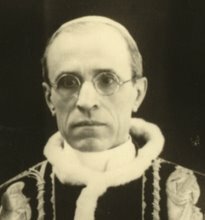 I have noticed that, in areas where the modern hierarchy takes vastly different positions than the traditional Church, novel positions are not given to the faithful by means of encyclicals or dogmatic statements, but are found throughout lower-level pronouncements, such as speeches, letters, addresses, bishops' statements etc. By repeating these novel positions again and again in very low-level pronouncements, the faithful get accustomed to hearing certain novelties "from the Church" and over time come to accept them as "Church teaching." A classic example is the death penalty. 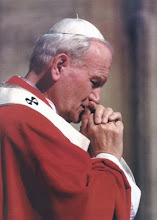 Granted, JPII called for a lesser application of the death penalty in Evangelium Vitae; but besides this, most of the very strong words offered against the death penalty have come from bishop's committees, papal speeches, statements and letters and articles in publications like L'Osservatore Romano and on Zenit. Many of these statements condemn capital punishment absolutely, in contradiction to Church teaching and tradition. The Catechism, the official teaching of the Church, of course says that capital punishment is licit and that the state cannot be denied the right to wield it. That is the official teaching and it cannot be altered. But, at every level lower than official teaching, capital punishment is condemned absolutely, and with such frequency that many orthodox Catholics no longer know that capital punishment is allowable. They have heard the voices of the popes and the bishops (in low-level pronouncements) condemn it so much that this erroneous position has effectively become "the Church's teaching," leading to a situation where something other than Church teaching takes the practical place of Church teaching while allowing the contrary and official position to remain in place. Thus the strategy for "changing" Church teaching seems to be this: If you want to teach something contrary to what the Church has always taught, just do it at low enough levels of authority and eventually people will start to accept your low-level declarations as "Church teaching" if they are trumpeted about long enough. Let me offer another example: Balthasar's concept of an "empty hell." This idea can in no way be said to be orthodox and (in my opinion) is a very nefarious doctrine. 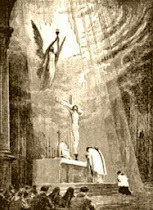 It is condemned by the constant opinion of theologians throughout the ages, who argued not only that hell is real but that people do actually go there - of many private revelations of the saints, especially those of St. John Bosco, Sister Lucia and St. Teresa of Avila, who said that she saw souls falling into hell "like snowflakes." Yet, despite this, we find persons within the heirarchy teaching the Balthasarian empty hell theory, not on the level of official teaching, but in personal letters, books, speeches, etc. For example, the late Cardinal Avery Dulles wrote in his book New World of Faith, which is meant to be an exposition of Catholic teaching in a way understandable to the modern world, Cardinal Dulles, in his section on hell, mentions Balthasar's theory and gives it credence by citing several arguments in its favor while not providing any arguments against it, thus leading the uninformed reader to suppose that Balthasar's theory is a credible one and on par with the traditional teaching. Only one sentence is given mentioning the teaching of the "Latin theologians from Augustine until recently" while a whole page is given to expound and defend Balthasar's theory. Is this not a veiled way of "teaching" Balthasarian heresy, at least as a hypothesis, without actually teaching it officially? "What the pope intended to express by this mark of distinction [elevation to the Cardinalate], and of honor, remains valid, no longer only private individuals but the Church itself, in its official responsibility, tells us that he is right in what he teaches of the faith" (see here). This isn't officially teaching the empty hell theory, but it is endorsing it in an unofficial way. The Church's endorsement of Balthasar continues in the elevation of Balthasarians to the cardinalate (Scola, for example). But this is just one example. My point is that theologians, bishops, cardinals and even popes regularly teach novelties in unofficial organs with such frequency that the faithful mistake these pronouncements for the teaching of the Church. The main reason for this is a confusion between a Church official and official teaching. When an official of the Church speaks, it is taken for granted that what he is speaking is official Church teaching. For example, it usually doesn't occur to people who would read Cardinal Dulles' book that what he is presenting in his section on hell is not the official teaching of the Church but his own opinion; why should they? Dulles is a Cardinal and his book is on Catholic teaching. It is natural that they should make this assumption, just like it is natural that they should assume that what the bishops' say on the absolute prohibition of the death penalty is the Church's official teaching. The conflict between what officials say and what the real teaching of the Church is can lead to much confusion. Thus, I fear, we have come to a place where instead of taking our bearings by teachings given ex cathedra we are now accustomed to assimilating teaching "ex voce," from statements repeated over and over again in low-level pronouncements. Novelties are put forward as teaching, absurd hypotheses are given credence and things abhorrent to the Christian faith are stated as matter of fact (a great example is Kasper's sloppy Reflections on Covenant and Mission regarding Judaism). Basically, I see a working out of the old dictum that anything repeated long enough is believed. It is really quite disingenuous, because everybody knows that lay people expect to hear official Church teaching from members of the hierarchy - the hierarchy also knows that, if they are using means of communication that are considered "low-level" in their authority, they have much more leeway to introduce their own opinions. This is what I refer to as the Church's underground or "unofficial" teaching, its ex voce teaching, which is a means of subtly introducing modernist interpretations into the deposit of faith. I'm sorry this post is so sloppy; this concept needs to be thought out more. Maybe some of you can give some insight. "I wait for thy salvation Lord" (Gen. 49:18). I find this problem especially showing it's ugly head when it comes to higher-level "education." 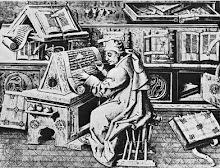 When a young, uninformed but otherwise good-hearted Catholic goes to a "Catholic University" to get a degree in theology, especially so that they can teach "Religious Education" to youth or simply be on a parish committee, or even "teach" at a school or university, they are often "taught" the Catholic Faith from second and third hand sources rather than PRIMARY sources, and thus many receive not a solid Catholic education but rather learn whatever this or that liberal/twisted theologian wants to teach. This even happens when it comes to priestly formation. In reality, most Catholics don't follow (nor care) what this or that bishop or Pope said during a speech. Instead, they receive this errant information from the mouth of their priest or RE instructor, teacher, or simply by word of mouth gossip. I'd say a far worse and more pernicious error than the "empty hell" is the notion that Scripture contains errors. Here is a great post showing even Vatican II taught inerrancy (thought not as forcefully as it could have, it at least linked to past Papal and Dogmatic teachings), though as everything else the false notion that Scripture has errors in it is still popularly parroted. 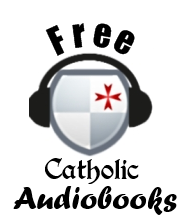 Also as bad is the problem in which many teachers and textbooks don't make mention of the word "sin" (precluding Confession as well), such that homilies and other such resources give off the impression "all is well" and that sin is an out-dated concept. It happens with many things...two I can think of is (1) where it is taught that Allah and the Trinity are the same, and stuff like the Pope's Ramadan addresses and some speeches he made are cited as evidence, and (2) Stuff about evolution, where Schonborn's letters and the JPII's letter to the scientists are treated as ex cathedra statements. It happens on the conservative side as much as the liberal. I liked your essay except I do think you should consult a priest you trust on what is encompassed by "ex cathedra". was made in God's image. John Paul II called the death penalty "cruel" in 1999 in St. Louis and Benedict then used the same word "cruel" once at Christmas and once through a Vatican papal letter writer for him in the Kentucky case. Likewise Benedict also parroted John Paul's Easter speech on "war solves nothing"....by later using those exact words too. Apparently Benedict has a fundy understanding of his own "hermeneutic of continuity" and intends to verbatim copy mistakes by John Paul II. Would that he would copy the Bible instead like Aquinas at least mostly did. Thanks, Bill. I am aware that a lot of the things I referenced are not ex cathedra teachings - but I was pretty much just contrasting high level pronouncements (whether ex cathedra, decrees of councils or whatever) to low level pronouncements that seem to go in a different direction, which I am terming "ex voce" - the point is that the Magisterium is giving its teaching to us in a slightly different manner that allows for variations from what has come before. So, I was lumping all of the Church's infallible teachings under ex cathedra just to make a rhetorical contrast. But, thank you for pointing out that my posts would not suffer from a little more precision in language. Very excellent then. The Catholic blogs in general in my view are objectively committing the sin of flattery in regard to the Popes...subjectively I hope they are half conscious in God's eyes. 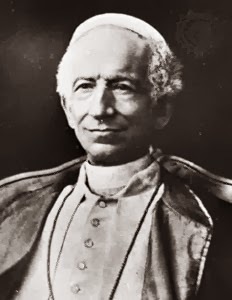 You have Cardinals and bishops who assented to Pius XII's affirmation of the death penalty as young priests in 1952....and the same men are now assenting to calling it "cruel"....or they are biting their tongue so that they do not get transferred to lesser duties. These two Popes would point to Tradition on birth control and they have undermined the very concept of Tradition on this dp issue which is crystal clear in the Bible. So they have undermined Tradition which they prefer to use on entirely different issues. Young intelligent Catholics must be saying to themselves....."soooo.....tradition is important....until it is not important." Great thanks though for an essay that like Paul in Galatians.....resists Peter when Peter is wrong. Such essays are rare because many on the net make a living from the "faithful Catholic"audience....who will drop patronage from anyone who criticizes the Pope. Ergo Catholic blogs will criticize the universe....but never the Pope. It is partly financial....and with priests, it is career movement. Not good. Paul in Galatians "resisted Peter to his face because he was deserving of blame"...that incident is in Scripture so that essays like yours would be common....but they are rare. This post points to the fact that the faithful in general base their belief on the people around them rather than the perennial doctrines of the Church. At times when most people had sound doctrine, there was a correspondence among the faithful. And likewise the opposite. I think it is right and good that we base our faith on our neighbor, so to speak, because the doctrine is supposed to be a living thing, and we are having great demands put on us to believe the doctrines which are embodied in so few ways around us. This is a great test. 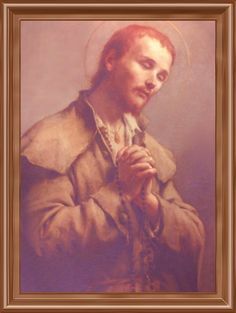 Of course, at all times we have our Lord, and the saints to help and guide us. I think novel and dangerous/heretical doctrines are toyed around with in the universities and what-not, and then, if given a chance, trickle down. The whole destruction of the Church has been a top down phenomenon. One could say that the faithful were itching to rebel, but that is just the fallen nature of our souls -- we all have an itch to rebel. Although the rebellion was top-down, the reform seems to be bottom-up. While I think this is admirable, and necessary, I don't think anything significant is going to happen until the Pope and the Bishops get their heads on straight. We are creators that take cues from our leaders, whether we are willing to acknowledge that or not. The best thing we can do is hold a fire to the arses of our leaders. I am wondering where the Theology of the Body, as taught by JPII during Wednesday audiences, would fit in with this? Novelty or explication or tradition? Neither? Also, in reading another post on Pope Benedict's statements about condoms in the Seewald interview, I was wondering if you will be posting anything on the interview Pope Francis gave this week, specifically about families, birth control, the number of children needed per family to sustain the population, etc.? Theology of the Body is somewhere in between...it certain isn't tradition, but it's not entirely novel, either. It is more of a development of traditional themes drawn out in personalism language. So I'd say neither total novelty nor tradition - and there is really nothing "subversive" about Theology of the Body. It is not contrary to Tradition but parallel to it. The instances I am citing are more like the case where Cardinal Dolan says "Bravo" to the homosexual football player - a subversive message coming through an unofficial channel. Regarding your second question, I may do something on that but I just as might not. I tend to leave the absurd comments of the current Holy Father alone. I try not to be a blogger who is constantly opining on current events, although I do some times. There's too much to keep up with with Francis.